I was going through some old papers that my mom had given me to scan and look at, which I always find entertaining. 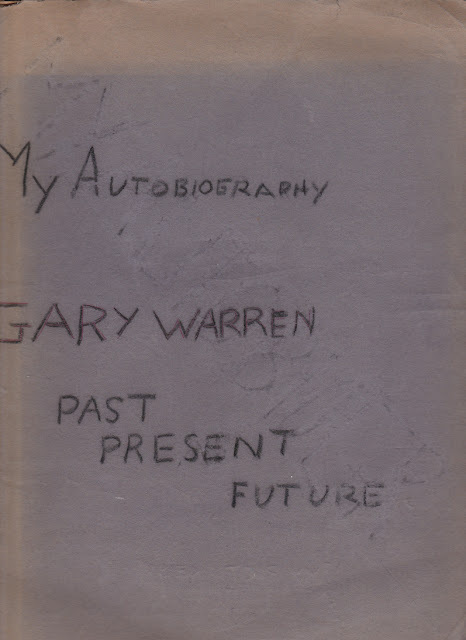 When my dad was ten years old, his teacher assigned the class to write their autobiographies. As luck would have it, it's survived 55 years since my father wrote it, to be scanned and shared with you today. It was assembled with blue construction paper, binder paper, tape, and photos. :) I hope you enjoy it as much as I did.